A truly specialist law firm providing advice and representation for all driving offences, transport law, criminal law, licensing law and regulatory law. With offices in Birmingham and London. Kang & Co Solicitors is a truly specialist high-end law firm providing legal advice and representation for all matters involving Criminal Law, Driving Offences, Transport Law, Pace Interviews, Regulatory Law and Licensing Law. 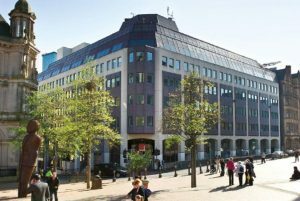 Our head office is located at 1 Victoria Square in Birmingham City Centre and we offer our services throughout England and Wales on a private fee-paying basis. We also have an office at 5 Chancery Lane in London and another office in central Milton Keynes. We are frequently instructed by individuals and businesses around the Midlands, surrounding areas and the London area. As most of our new clients come to us via personal or professional recommendation, we have a commitment to providing the highest quality legal advice and expertise. We have a unique approach, in that all our lawyers are fully qualified Solicitors or Barristers, ensuring that our clients only ever receive the best advice and representation throughout their case from lawyers that are qualified and experienced within their craft. If you decide to become a client, you will have peace of mind knowing that your case will only ever be progressed by a highly experienced and qualified Solicitor or Barrister to guarantee our service standards and provide the best prospects of a successful outcome. As we are a specialist law firm providing a bespoke quality service to our clients, we only accept new client on a private fee-paying basis. Our clients understand that high quality legal advice and representation comes at a premium, therefore we do not possess a Legal Aid Contract and do not undertake any Public Funded / Legal Aid work. If you are looking to instruct a law firm on a Legal Aid basis, details of law firms that offer advice and assistance via Legal Aid can be found on the Law Society website. Our head office address is at 1 Victoria Square, Birmingham, B1 1BD and our main contact telephone number is 03452229955. Our London office is located at 5 Chancery Lane, London, WC2A 1LG. If you would like to send us a direct e-mail, please send your message to info@kangandco.co.uk. You can also fill out the contact form at the bottom of the page. Kang & Co Solicitors is the trading name of Kang & Co Solicitors Limited, a limited company registered in England & Wales Company. Registration No. 10350638. Find out more about the SRA on our designated page. Our VAT registration number is: 274718770. We are also a member of the Birmingham Chambers of Commerce and Colmore Business District.